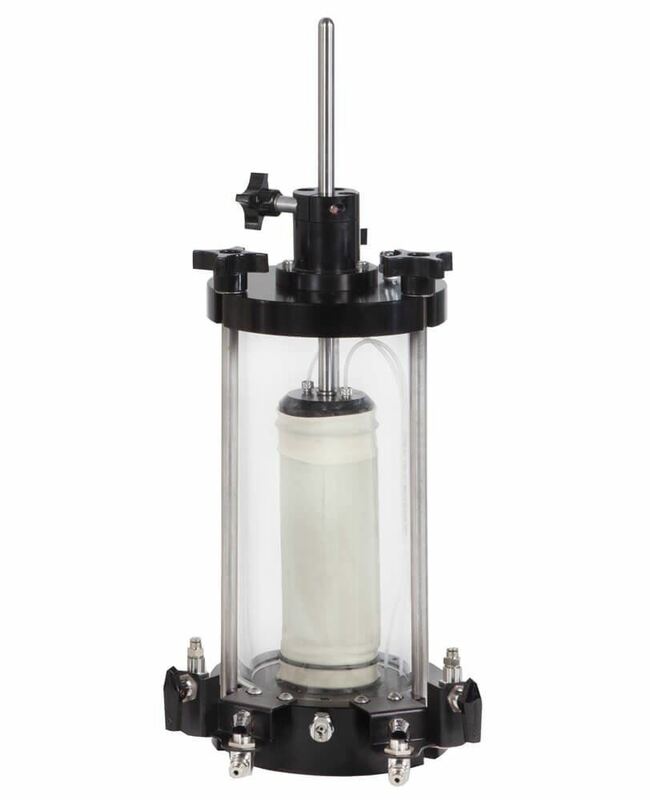 4.75in Triaxial Test Cell - Gilson Co.
Triaxial Test Cells are used to determine compressive strength of 1.4 to 3in (35.6 to 76.2mm) maximum diameter soil samples, and perform best with the HM-350M Master Control Panel and HM-350A Auxiliary Control Panel. They are also compatible with similar systems. 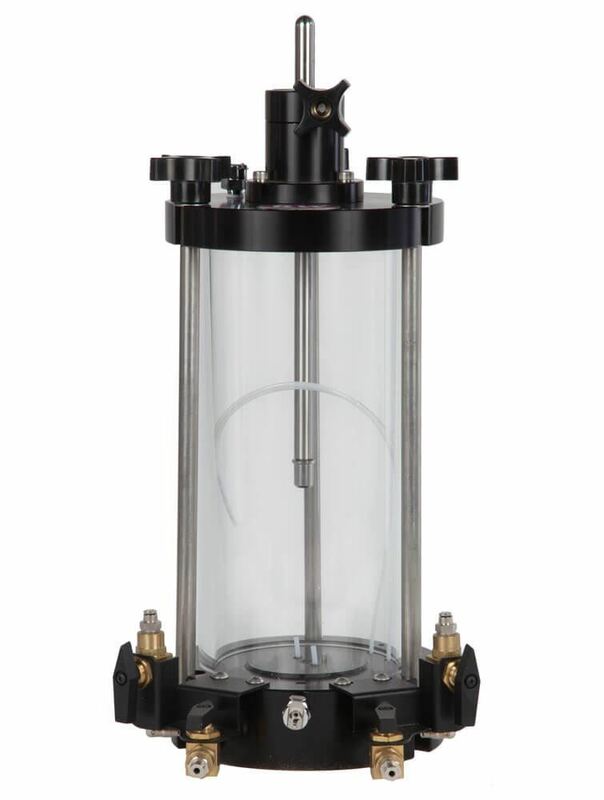 Models are available with either rugged quality brass or durable stainless steel valves and fittings. They are equipped with solid, machined-aluminum bases to handle heavy loading. The 4.75x10.75in (121x273mm) chamber interior is constructed of heavy-wall clear acrylic. The unit’s precision-ground load piston is made of polished stainless steel, and features internally lubed and sealed linear ball bearings, ensuring friction is very low. Cell design also features precision zero-volume change ball valves, and a maximum operating pressure of 150psi (10.3bar). Contact us to inquire about units designed to handle higher test pressures. 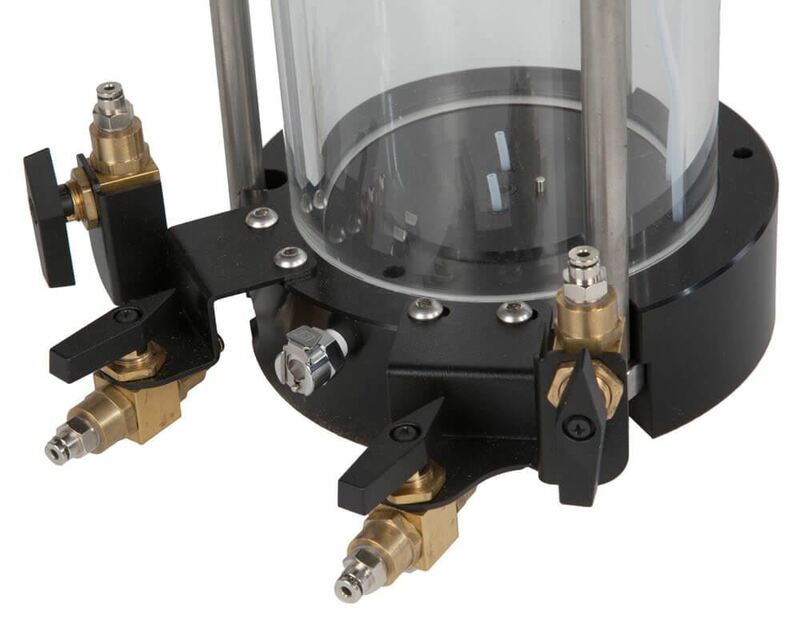 HMA-517 Triaxial Test Cell includes brass valves and fittings. HMA-517S Triaxial Test Cell is constructed with stainless steel valves and fittings that offer corrosion-resistance and can withstand harsh permeant fluids. 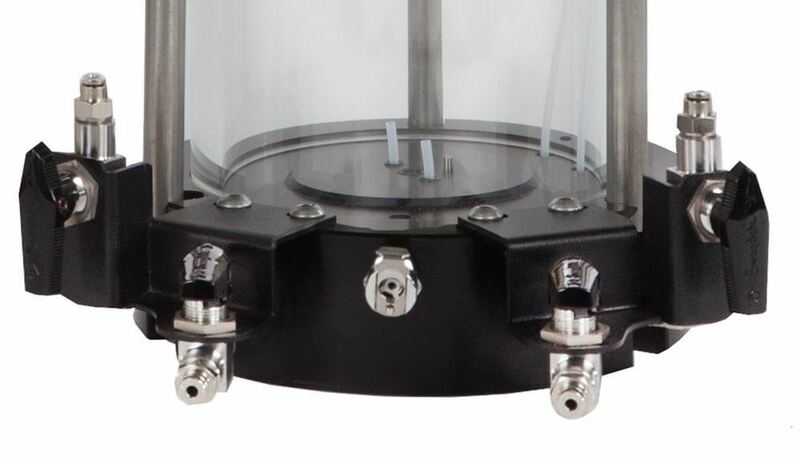 A Test Cell Kit is required with HM-517 test cells for testing soil samples from 1.4 to 3in, and available separately on the Triaxial Cell Accessories page. Each kit contains the necessary components that are size specific to the specimen, and includes an anodized aluminum cap and pedestal, two Porous Stones, two Latex Membranes and four O-Rings. Also recommended for use in testing and available separately is the HMA-521 Digital Pore Pressure Gauge w/Transducer. HMA-613 Triaxial Compression Data Acquisition Software works with the Load and Displacement Kit to record specimen and real-time test data, calculate results, then prepare reports following ASTM and AASHTO requirements.